One method of hemroid treatment that has gained popularity is the Hemorrhoid Treatments System or HTS. 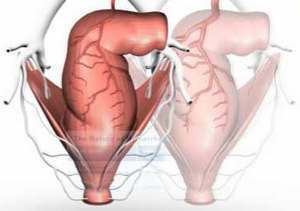 This procedure is also known by the name, Doppler guided hemorrhoid arterial ligation. Under this method of hemroid treatment, ultrasound is used to detect the rectal arteries leading to hemorrhoidal tissue, and sutures are then used to cut off blood flow. Without blood flow, the hemorrhoid eventually withers away and dies. Additionally, the Hemorrhoid Treatment System procedure immediately alleviates certain hemorrhoidal symptoms, such as bleeding and prolapse. Hemorrhoid Treatment System was discovered by Dr. Kazumasa Morinaga, a surgeon in Japan, in 1995. Dr. Morinaga developed and perfected a special instrument containing a Doppler transducer and a window. It is this instrument that allows surgeons to identify hemorrhoidal arteries and perform ligation via sutures. HTS has been adopted as method of hemorrhoid treatment around the world, including in the United States, Europe, Southeast Asia and Australia. It has gained popularity as a hemroid treatment among hemorrhoids sufferers who want a procedure that is less invasive than traditional hemorrhoidectomy. It is also frequently used on patients who have undergone rubber band ligation hemroid treatment that was unsuccessful. Hemorrhoid Treatment System is becoming popular as a method of hemroid treatment for a number of reasons. Doctors prefer this method over some others because it is quick and easy to perform, and they have a better idea of whether or not they have treated the hemorrhoid immediately, during the Hemorrhoid Treatment System procedure. The Doppler instrument gives doctors a more accurate view of the blood vessels that affect the hemorrhoidal tissue, and are better able to cut off circulation to that tissue than they are with other techniques such as rubber band ligation. Hemorrhoid Treatment System is also becoming popular due to the fact that this hemroid treatment has a much shorter and less painful recovery time post-procedure than some other more invasive hemroid treatment procedures, such as hemorrhoidectomy surgery. The HTS procedure can be performed on an outpatient basis, and most patients can return to work within 24 to 48 hours of this hemorrhoid treatment. Additionally, the amount of pain and post-operative bleeding experienced is generally much less than hemorrhoidectomy. In many cases, no bleeding at all was reported. Finally, the rate of reoccurrence of hemorrhoids after HTS is performed is very low, only about 6.8% when HTS patients were observed over a period of two years post-procedure, according to one study. Because of this high success rate, and the less invasive nature of the HTS procedure, Hemorrhoid Treatment System is now covered by most medical insurance plans.